Fort Worth native Tylynn has been with TSO since 2013. Tylynn is also of Native American heritage (Apache), and is our “get things done” person. 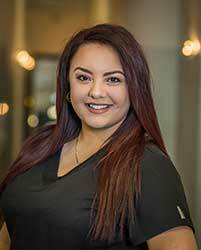 Tylynn is always willing to learn new things in the eyecare field and wants to make each patient’s experience at our office great! Tylynn has a big heart and loves to spend time with her son, Israel. She can also be found Go Kart riding, rollerskating and cheering for her son at multiple sporting endeavors.